The site of ‘En Ḥofez is located 3 km southwest of Tel Jokneam in the modern residential area of southern Yoqne‘am ‘Ilit. It is situated 100 m north of the ‘En Ḥofez spring in the northern Manasseh Highlands (220 m above sea level), and 1 km south of Wadi Maliḥ, the major wadi separating these hills from the Carmel range and home to the ancient route from Dor to Jokneam and subsequently to Hazor. The terrain consists of gentle chalk hills, suitable for marginal agriculture and grazing. Archaeological excavations of an approximately 1-a. 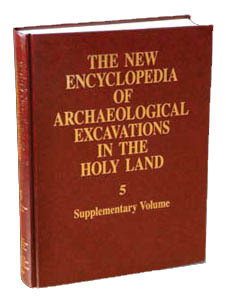 area were carried out at the site in 1994 by Y. Alexandre on behalf of the Israel Antiquities Authority, prior to the construction of a new residential area in southern Yoqne‘am Ilit. The site had suffered damage by mechanical digging. Subsequent to the excavations, part of the site was released for development; another unexcavated part was covered by fill and developed as a park. Three major periods were exposed: the Middle Bronze Age, the Iron Age, and the Persian–Hellenistic periods.